The robot mower is developed for the usage on properties of up to 1.000 m2. With its strong Lithium ion battery, it is able to cope with gradients of up to ±35 % (19°). With only 60 dB it is very quiet. Through the included smart Gateway, this robotic lawn mower can be controlled by app. Thus, you can access your robot lawn mower at any time: via app for tablet or smartphone or via the PC. The Gardena smart Sileno is also compatible with all other smart System extensions. For this robot mower, you can define up to three starting points. Therefore, it is also suitable for complex areas because it reaches remote parts of the garden reliably, which are connected to the main area only through narrow passages. The remote start function assures, that also ancillary areas are optimally covered. 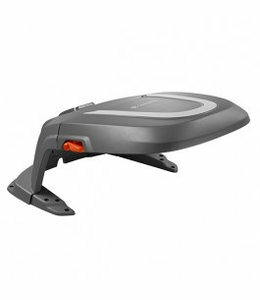 Its “EasyPassage” function supports the automatic lawn mower with the navigation through narrow passages. It is able to cross them especially efficient. The Gardena smart Sileno crosses the garden randomly. It shortens the grass with three sharp blades, which are mounted on a rotating disc. You can adjust the mowing height individually between 20 and 60 mm. The fine cut grass falls down and serves the lawn as natural fertilizer and provides moisture: Your lawn gets healthy and green. Via app or with the user-friendly LCD display with keypad you can define mowing hours for your robotic lawn mower. The robot lawn mower follows the programmed weekly schedule reliably and even when it is raining. After it has finished its mowing task or when battery is low, it autonomously drives back to the charging station to recharge for the next mowing operation. Different sensors assure safety for the Gardena smart Sileno. Due to collision sensors, it recognizes obstacles. When lifted or tilted, the automatic lawn mower’s blades stop immediately. With a PIN code you can protect your device against theft or unauthorized usage. The app is available for iOS and Android. 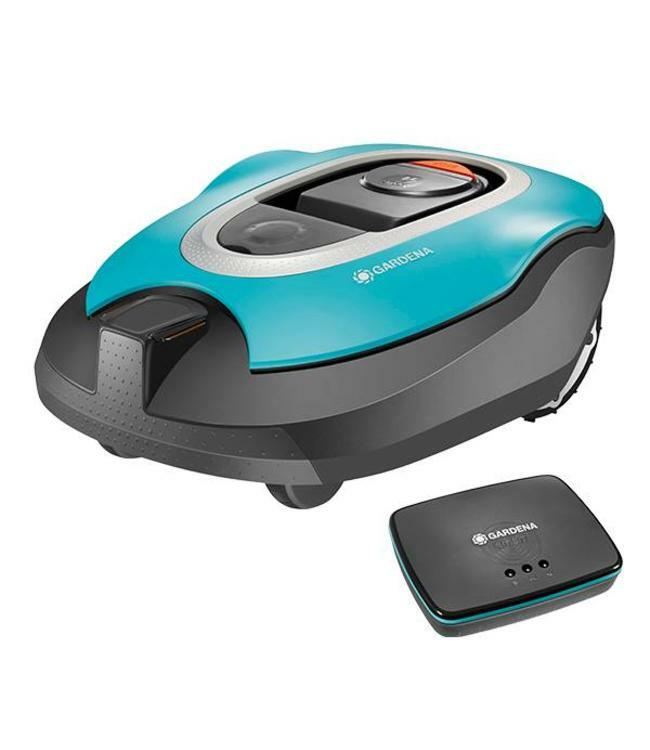 Thus, you have always full control of your robot lawn mower and other smart System devices and manage settings comfortably via smartphone, tablet or PC. After just a few steps your robot lawn mower is ready to mow. In the scope of delivery, there are included all accessory parts needed for the installation like perimeter wire, pegs, cable connectors and a detailed user’s manual.